Eat-fest 2017 is here – aka THE HOLIDAYS. A time for fun, family, and of course, feasting. Traditional holiday eats can totally derail healthy eating habits…until now! 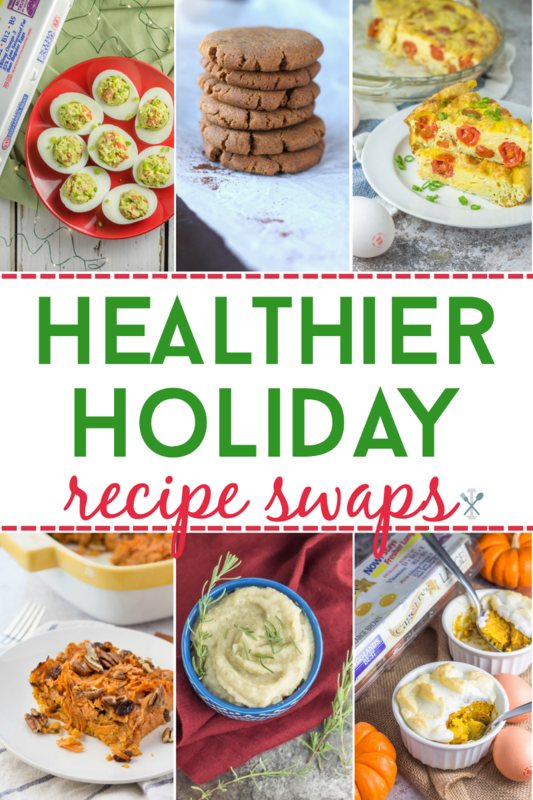 These holiday classics are reinvented with healthier holiday recipe swaps. Check out these ‘lightened up’ recipe substitutions to keep the delicious in your holiday cooking and baking, banishing the sugar, dairy, gluten, and excess junk. Featuring a number of treats and eats made with Farm Fresh Eggland’s Best® eggs! Why Eggland’s? Superior nutrition of course. Did you know that Eggland’s Best® has 10x more vitamin E, 6x more vitamin D, and more than double the Omega-3’s and B12 than ordinary eggs? All Eggland’s Best®hens are fed a wholesome, all-vegetarian feed, providing optimal nutritional in their eggs. It’s an easy choice when thinking healthy this holiday season! Here’s some food for thought: one slice of pumpkin pie with whipped topping is roughly 530 calories. 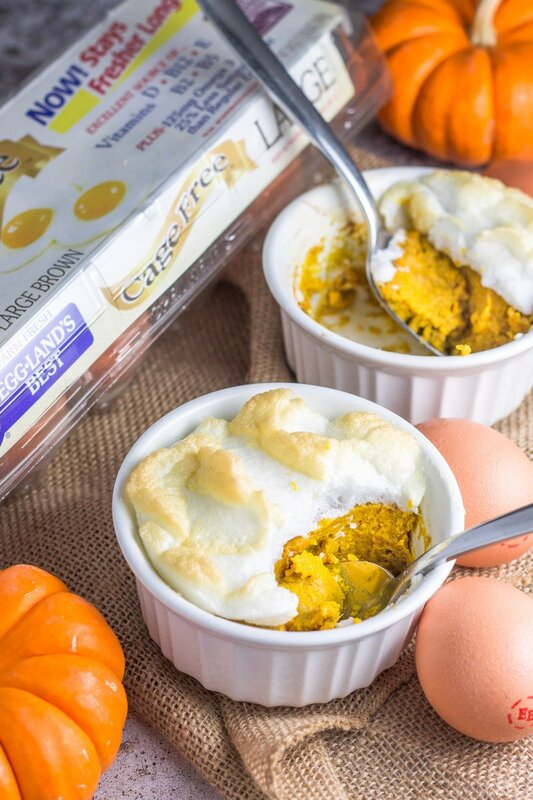 One ramekin of this paleo pumpkin custard with meringue topping is roughly 150 calories. Need I say more? But really friends, you won’t believe how this healthier substitute tastes EXACTLY like the real thing – and this is coming from an “all year I wait for pumpkin pie” gal. The texture in each ramekin filled with this pumpkin custard is exactly like traditional pumpkin pie. Except this version is crustless, and sweetened naturally with banana and a hint of maple. You gotta try it! 6. Turn the mixer off , then gently fold in the pure maple syrup. Cover the cooked custards with the meringue topping. Shift an oven rack to the top slot and place the custards back into the oven (375 degrees) for roughly 10 minutes, until the peaks start to turn a golden brown. Look, I’m not going to say, “it tastes EXACTLY like mashed potatoes and gravy! !” Lies, it doesn’t (sorry). BUT it certainly is a healthy alternative with the same creamy, whipped texture! And what’s not to love about serving up a side of herbed vegetable mash versus the traditional calorie-loaded ‘taters and gravy? 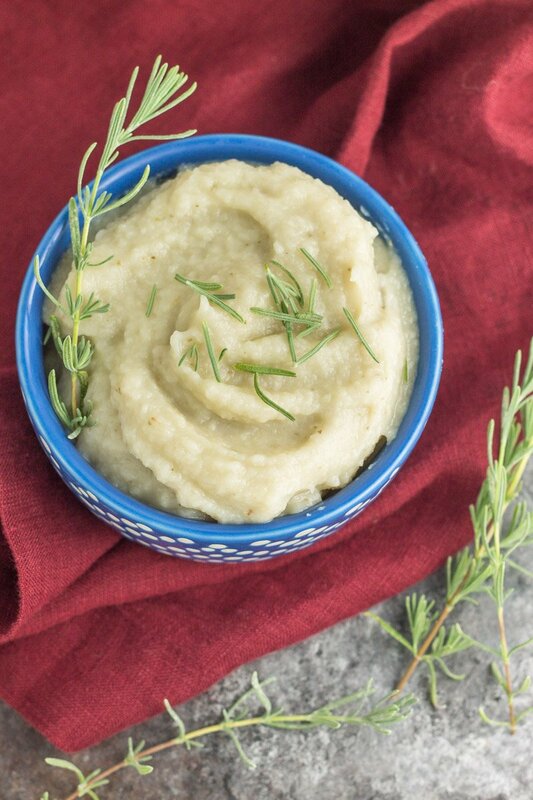 If you’re saving your indulgences this holiday season for adult beverages (just referencing for a friend…), then try subbing mashed potatoes for this herbed cauliflower mash. It’s nothing short of amazing how much flavor is packed into this healthy crustless quiche made with simple ingredients. And it’s virtually fool-proof to make! Now I realize everyone and their mother seems to bring an egg bake lined with crescent rolls and loaded with cheese to holiday brunch gatherings, but this tomato and leek crustless quiche is far healthier, and actually far easier to make than you’d think! 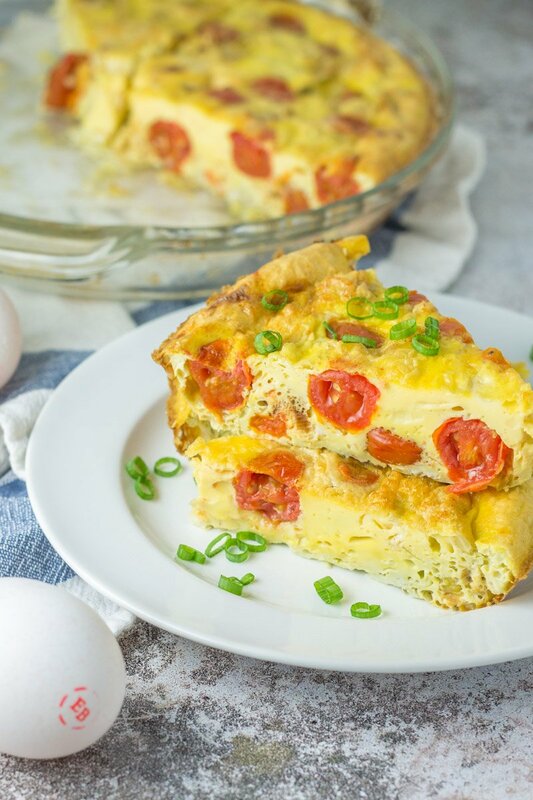 Slash the carbs and the calories with this perfect egg-bake breakfast! 4. Combine the eggs, coconut milk, and salt into a large bowl. Whisk. I know, I know – it’s not the holidays without chocolate. SO MUCH CANDY. It’s like Halloween but far more jolly. 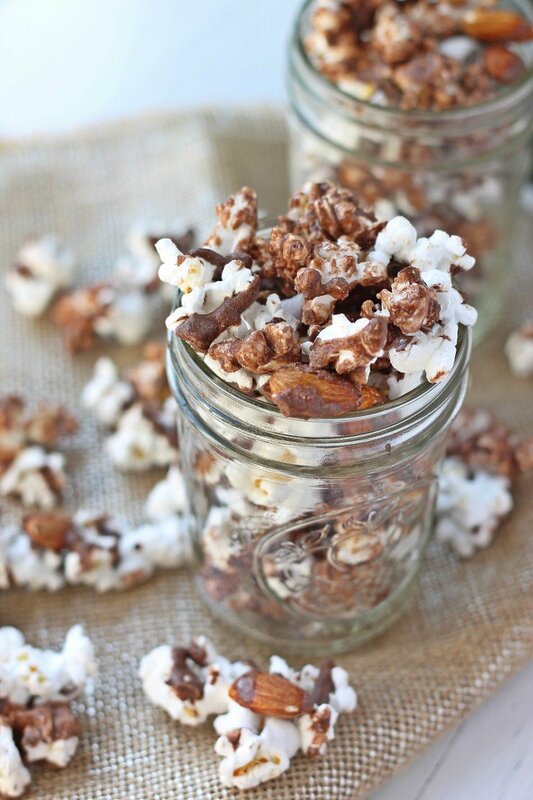 When your sweet tooth has you craving a chocolate treat, why not combine sweet and crunchy, for a protein-packed snack? 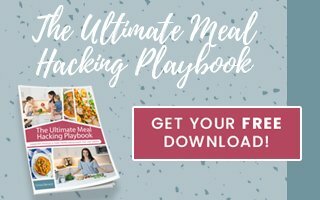 This reinvented ‘moose munch’ is drizzled with a combination of coconut oil and chocolate protein powder for the ultimate healthy holiday treat. I KNOW that darn meat and cheese tray can be tempting. I also know it’s a green-light zone (aka it’s hard to portion control all those bite-sized snacks). 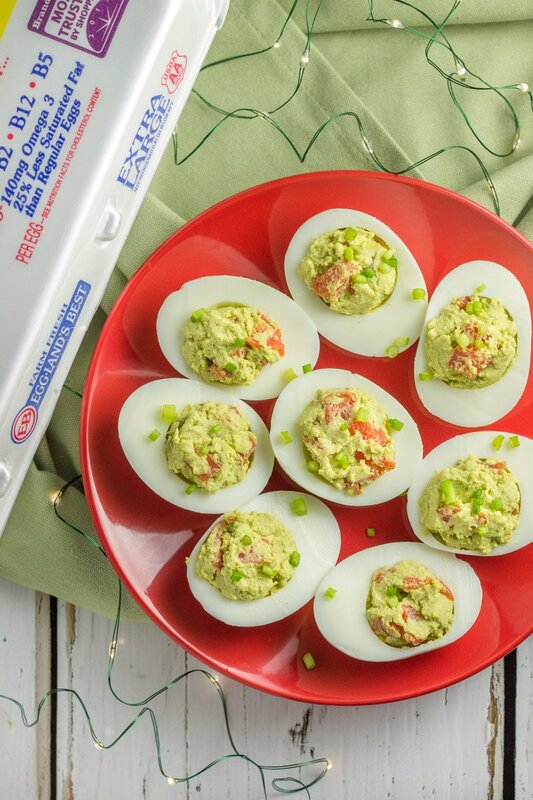 Instead, try these smoked salmon and avocado deviled eggs. These dairy free, paleo, bite-sized appetizers are packed with protein, omega-3, B12 and Vitamin D. Plus these beauties are made with mashed avocado, instead of mayo! I get it you guys, french toast casserole IS JUST SO GOOD. Like, just give me the whole pan and leave me alone. 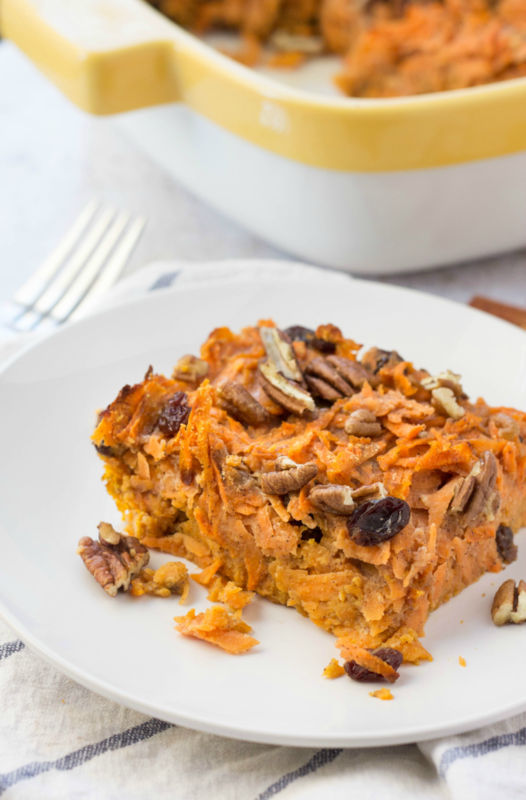 But this maple cinnamon sweet potato breakfast bake is BETTER. Warm, comforting, sweet, and soooo much healthier for you with sweet potatoes versus lame, white bread. Holidays are meant for baking and cookie exchanges! It’s just so fun! 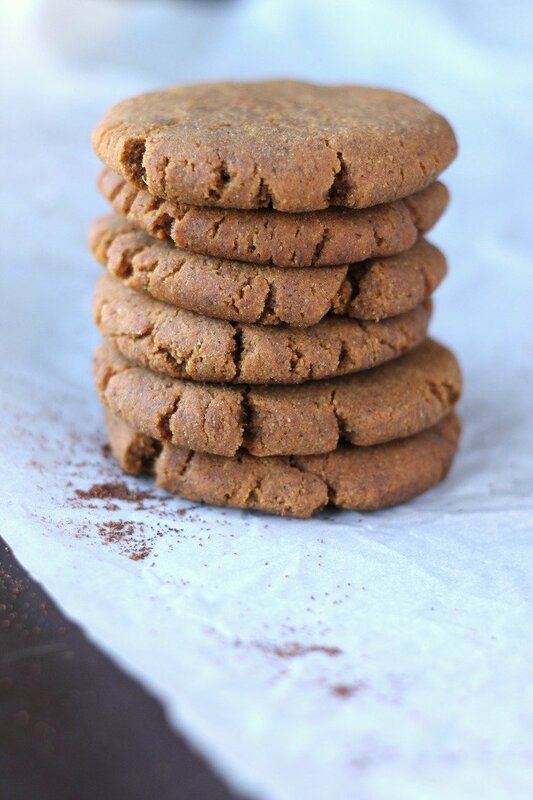 But these super simple and perfectly spiced gingerbread cookies have a superfood ingredient that might surprise you. Diary free, nut free, gluten free, and no refined sugar – yet perfection in every bite! And there you have it! A big ‘ol list of healthy holiday recipe that would make Santa’s list look like foul play. Eating healthy during the holidays CAN be done, without sacrificing flavor or tradition! Be sure to head to you local grocer and pick up any of Eggland’s Best® products to make aaaaaaaall the festive eats this holiday season! 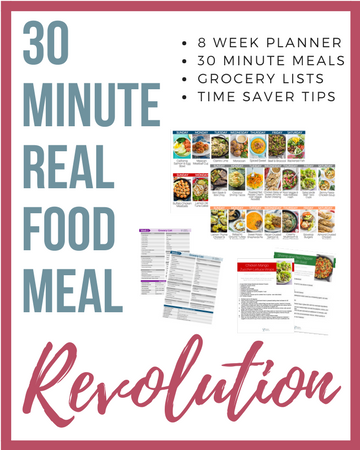 These look like such great recipes! And I love how you did the whole, “instead of this, try this”. Perfect! I’ve got a roundup of healthy thanksgiving dishes and these would fit in perfectly! Glad you found it useful Kathleen! Thanks, these look great! Much needed. Recovering from a complete hysterectomy and eating is an issue. So no better way to fix my tummy then using fresh, clean food 😁 my husband will definitely benefit from this too 😉. Thanks so much Christine! Glad you found this helpful.